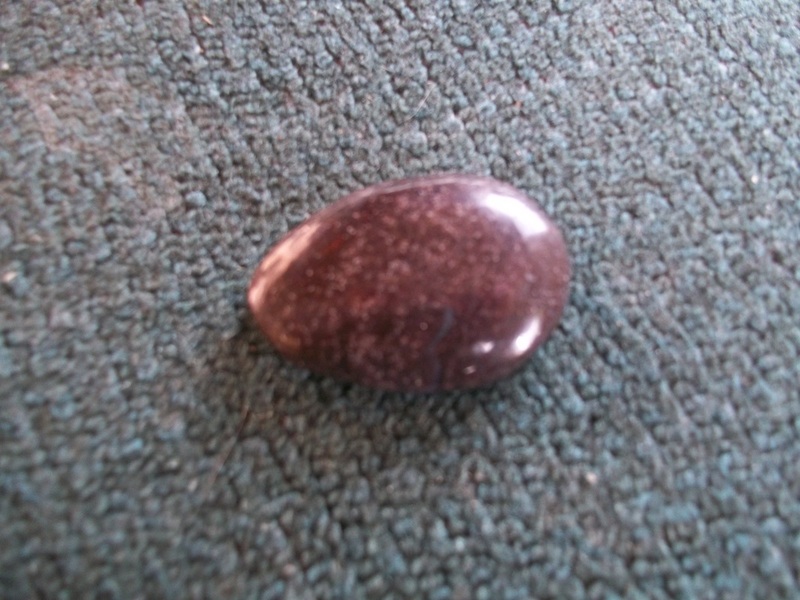 Corundum Cabochon made from rough found in South Park country. 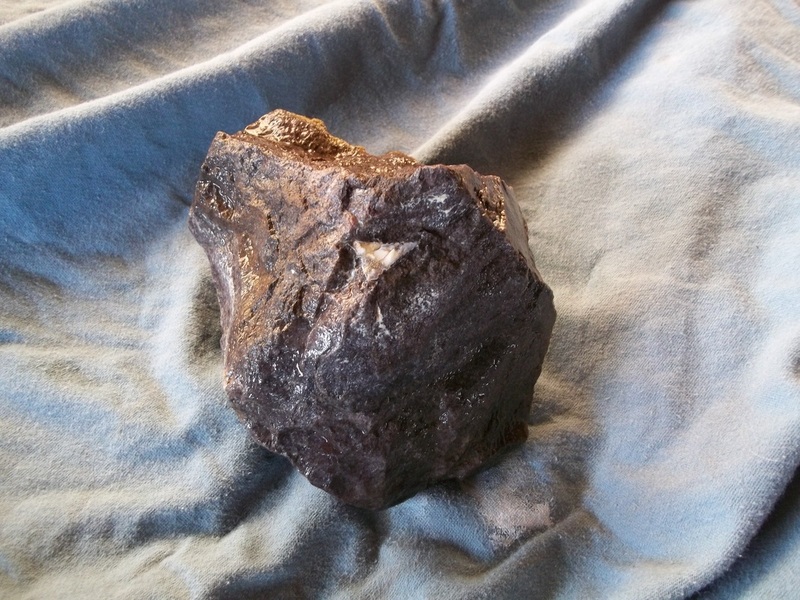 Corundum is a form of aluminium oxide (Al2O3) with trace amounts of iron, titanium, chromium. 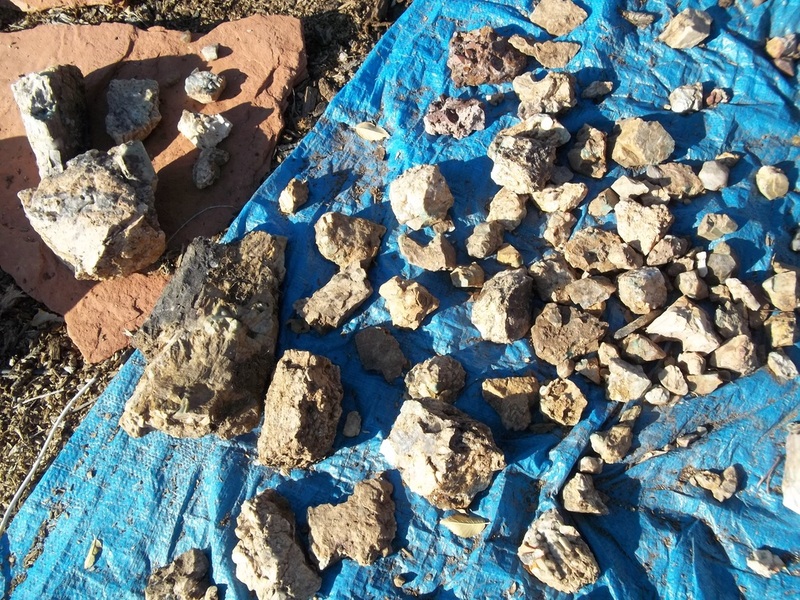 This rock-forming mineral can have different colors depending upon what impurities are present. If corundum is transparent and red it is know as Ruby. All other colors are Sapphires. Corundum is derived from the Sanskrit word "kuruvinda" meaning Ruby. Pure Corundum is 9.0 on mohs scale of hardness. The specimen shown on the right is from the same pegmatite. This rock is Anyolite - Ruby on Zoisite. Anyolite is a metamorphic rock composed of intergrown green zoisite, black tschermakite and ruby, named for the Maasai word 'anyoli' meaning green. 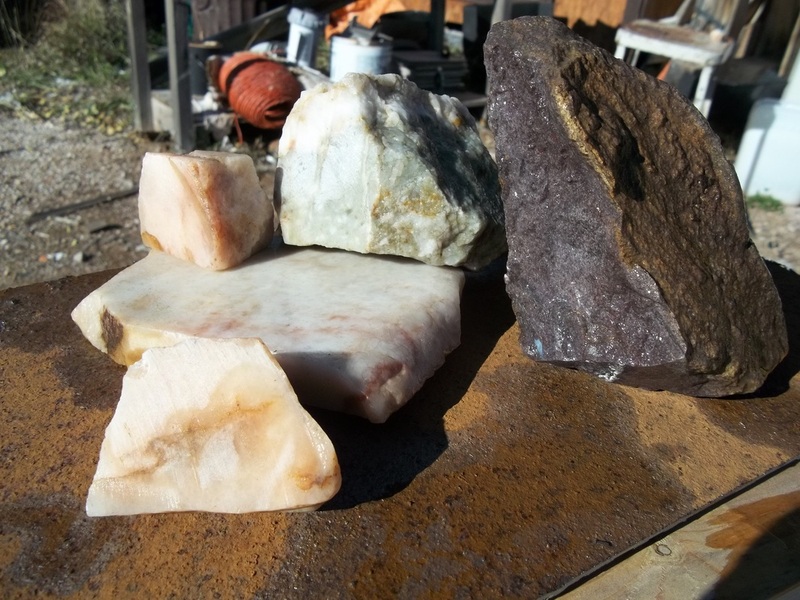 The cabochon above was sawed out of the rough shown on the left. You can see the flat sawn area. 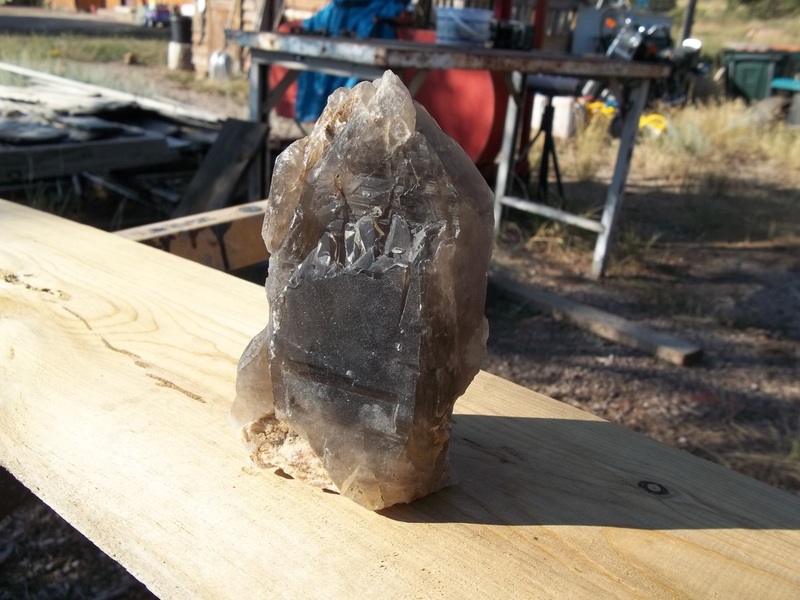 This five pound specimen will produce a lot of cabochons when I take the time to saw them out. We found the specimen in a pegmatite, sadly it was a windy, rainy day and we didn't explore the entire exposed pegmatite. 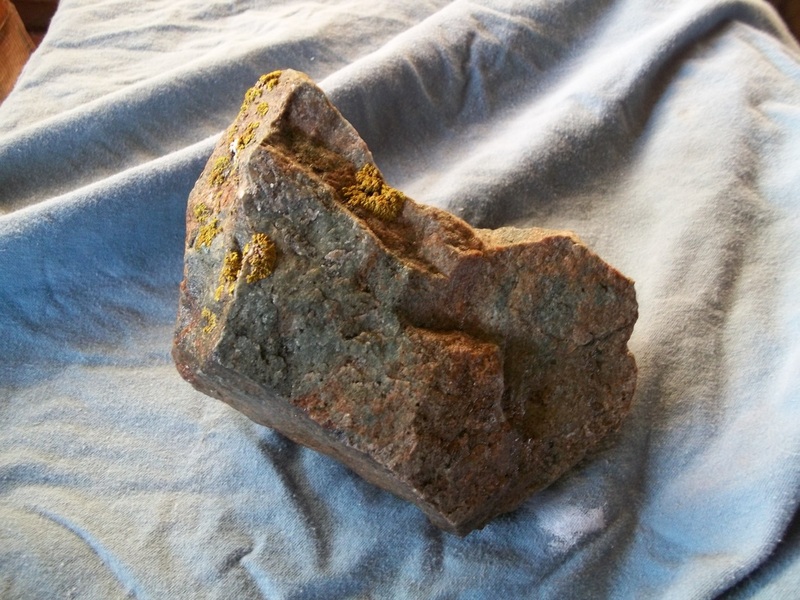 Undoubtedly there is numerous other rocks that we left behind. 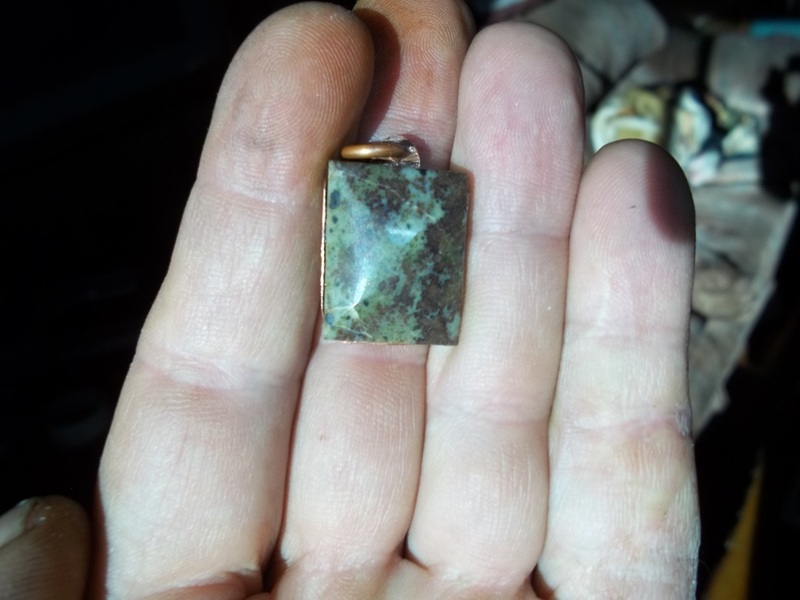 A polished piece of Anyolite that I used to make a pendant.